This is the second in a series of tutorials on securing Apache Storm. The first post looked at setting up a simple Storm cluster that authenticates users via Kerberos, and deploying a topology. Apache Storm also ships with a UI (and REST API) that can be used to download configuration, start/stop topologies, etc. This post looks at deploying the Storm UI using Kerberos, and accessing it via a REST client. The first step is to follow the previous tutorial to deploy the Apache Kerby KDC, to configure Apache Zookeeper, and to download and deploy Apache Storm (sections 1-3). Note that there is a bug in Kerby that is not yet fixed in the 1.0.0 release that you might run in to when using curl (see below), depending on whether the MIT libraries are installed or not. In additional to the principals listed in the last post, the Kerby deployment test for Storm also contains a principal for the Storm UI (HTTP/localhost@storm.apache.org). You should see the cluster configuration in JSON format if the call is successful. This is the first tutorial in a planned three part series on securing Apache Storm. In this post we will look at setting up a simple Storm cluster that authenticates users via Kerberos, and how to run a simple topology on it. Future posts will cover authorization using Apache Ranger. For more information on how to setup Kerberos for Apache Storm, please see the following documentation. For "storm.zookeeper.servers" add "- localhost"
If you take a look at the logs in the nimbus distribution you should see that the topology has run correctly, e.g. 'logs/workers-artifacts/mytopology-1-1495813912/6700/worker.log'. 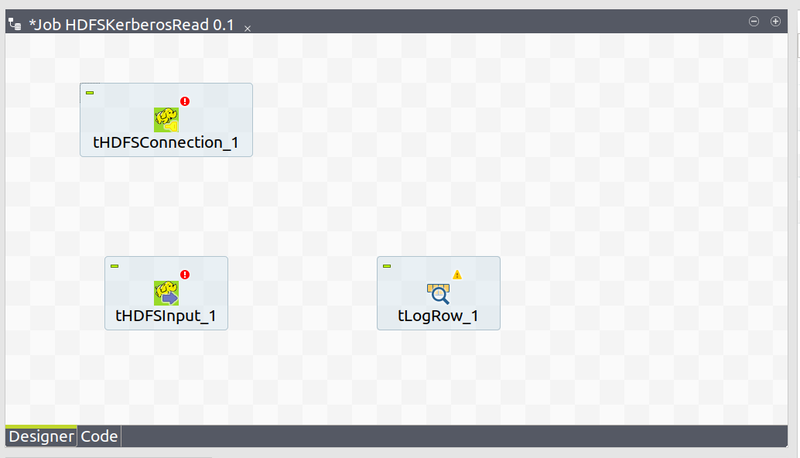 A recent blog post showed how to use Talend Open Studio for Big Data to access data stored in HDFS, where HDFS had been configured to authenticate users using Kerberos. In this post we will follow a similar setup, to see how to create a job in Talend Open Studio for Big Data to read data from an Apache Kafka topic using kerberos. Follow a recent tutorial to setup an Apache Kerby based KDC testcase and to configure Apache Kafka to require kerberos for authentication. Create a "test" topic and write some data to it, and verify with the command-line consumer that the data can be read correctly. 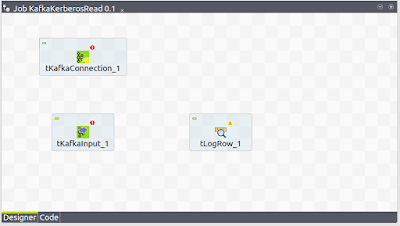 Now we will download Talend Open Studio for Big Data (6.4.0 was used for the purposes of this tutorial). Unzip the file when it is downloaded and then start the Studio using one of the platform-specific scripts. It will prompt you to download some additional dependencies and to accept the licenses. Click on "Create a new job" called "KafkaKerberosRead". Now let's configure the individual components. Double click on "tKafkaConnection". If a message appears that informs you that you need to install additional jars, then click on "Install". Select the version of Kafka that corresponds to the version you are using (if it doesn't match then select the most recent version). For the "Zookeeper quorum list" property enter "localhost:2181". For the "broker list" property enter "localhost:9092". Now we will configure the kerberos related properties of "tKafkaConnection". Select the "Use kerberos authentication" checkbox and some additional configuration properties will appear. For "JAAS configuration path" you need to enter the path of the "client.jaas" file as described in the tutorial to set up the Kafka test-case. You can leave "Kafka brokers principal name" property as the default value ("kafka"). Finally, select the "Set kerberos configuration path" property and enter the path of the "krb5.conf" file supplied in the target directory of the Apache Kerby test-case. Now click on "tKafkaInput". Select the checkbox for "Use an existing connection" + select the "tKafkaConnection" component in the resulting component list. For "topic name" specify "test". The "Consumer group id" can stay as the default "mygroup". Now we are ready to run the job. Click on the "Run" tab and then hit the "Run" button. 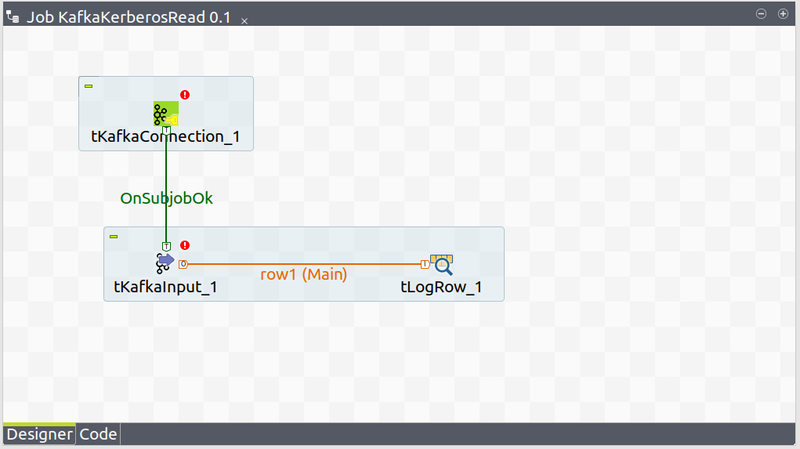 Send some data via the producer to the "test" topic and you should see the data appear in the Run Window in the Studio. Two security advisories were recently issued for Apache CXF Fediz. In addition to fixing these issues, the recent releases of Fediz impose tighter security constraints in some areas by default compared to older releases. In this post I will document the advisories and the other security-related changes in the recent Fediz releases. The first security advisory is CVE-2017-7661: "The Apache CXF Fediz Jetty and Spring plugins are vulnerable to CSRF attacks.". Essentially, both the Jetty 8/9 and Spring Security 2/3 plugins are subject to a CSRF-style vulnerability when the user doesn't complete the authentication process. In addition, the Jetty plugins are vulnerable even if the user does first complete the authentication process, but only the root context is available as part of this attack. The second advisory is CVE-2017-7662: "The Apache CXF Fediz OIDC Client Registration Service is vulnerable to CSRF attacks". The OIDC client registration service is a simple web application that allows the creation of clients for OpenId Connect, as well as a number of other administrative tasks. It is vulnerable to CSRF attacks, where a malicious application could take advantage of an existing session to make changes to the OpenId Connect clients that are stored in the IdP. This section only concerns the WS-Federation (and SAML-SSO) IdP in Fediz. The WS-Federation RP application sends its address via the 'wreply' parameter to the IdP. For SAML SSO, the address to reply to is taken from the consumer service URL of the SAML SSO Request. Previously, the Apache CXF Fediz IdP contained an optional 'passiveRequestorEndpointConstraint' configuration value in the 'ApplicationEntity', which allows the admin to specify a regular expression constraint on the 'wreply' URL. From Fediz 1.4.0, 1.3.2 and 1.2.4, a new configuration option is available in the 'ApplicationEntity' called 'passiveRequestorEndpoint'. If specified, this is directly matched against the 'wreply' parameter. In a change that breaks backwards compatibility, but that is necessary for security reasons, one of 'passiveRequestorEndpointConstraint' or 'passiveRequestorEndpoint must be specified in the 'ApplicationEntity' configuration. This ensures that the user cannot be redirected to a malicious client. Similarly, new configuration options are available called 'logoutEndpoint' and 'logoutEndpointConstraint' which validate the 'wreply' parameter in the case of redirecting the user after logging out, one of which must be specified. This section only concerns the WS-Federation RP plugins available in Fediz. When the user tries to log out of the Fediz RP application, a 'wreply' parameter can be specified to give the address that the Fediz IdP can redirect to after logout is complete. 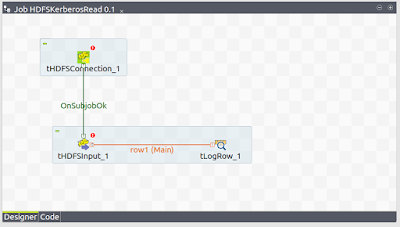 The old functionality was that if 'wreply' was not specified, then the RP plugin instead used the value from the 'logoutRedirectTo' configuration parameter. From Fediz 1.4.0, 1.3.2 and 1.2.4, a new configuration option is available called 'logoutRedirectToConstraint'. If a 'wreply' parameter is presented, then it must match the regular expression that is specified for 'logoutRedirectToConstraint', otherwise the 'wreply' value is ignored and it falls back to 'logoutRedirectTo'. A recent series of blog posts showed how to install and configure Apache Hadoop as a single node cluster, and how to authenticate users via Kerberos and authorize them via Apache Ranger. Interacting with HDFS via the command line tools as shown in the article is convenient but limited. Talend offers a freely-available product called Talend Open Studio for Big Data which you can use to interact with HDFS instead (and many other components as well). In this article we will show how to access data stored in HDFS that is secured with Kerberos as per the previous tutorials. Now we are ready to run the job. Click on the "Run" tab and then hit the "Run" button. If everything is working correctly, you should see the contents of "/data/LICENSE.txt" displayed in the Run window. This is the sixth and final article in a series of posts on securing HDFS. In the second and third posts we looked at how to use Apache Ranger to authorize access to data stored in HDFS. In the fifth post, we looked at how to configure HDFS to authenticate users via Kerberos. In this post we will combine both scenarios, that is we will use Apache Ranger to authorize access to HDFS, which is secured using Kerberos. export JAVA_OPTS="-Djava.security.krb5.conf=<path to Kerby target/krb5.conf"
The Ranger HDFS policy should be able to download the policies now from the Ranger Admin service and apply authorization accordingly. Now 'Test Connection' should be successful. The previous blog article showed how to set up a pseudo-distributed Apache Hadoop cluster such that clients are authenticated using Kerberos. The DataNode that we configured authenticates itself by using privileged ports configured in the properties "dfs.datanode.address" and "dfs.datanode.http.address". This requires building and configuring JSVC as well as making sure that we can ssh to localhost without a password as root. An alternative solution (as noted in the article) is to use SASL to secure the data transfer protocol. Here we will briefly show how to do this, building on the configuration given in the previous post. dfs.datanode.address: Change the port number here to be a non-privileged port. dfs.datanode.http.address: Change the port number here to be a non-privileged port. This is the fifth in a series of blog posts on securing HDFS. The first post described how to install Apache Hadoop, and how to use POSIX permissions and ACLs to restrict access to data stored in HDFS. The second post looked at how to use Apache Ranger to authorize access to data stored in HDFS. The third post looked at how Apache Ranger can create "tag" based authorization policies for HDFS using Apache Atlas. The fourth post looked at how to implement transparent encryption for HDFS using Apache Ranger. Up to now, we have not shown how to authenticate users, concentrating only on authorizing local access to HDFS. In this post we will show how to configure HDFS to authenticate users via Kerberos. If we are going to configure Apache Hadoop to use Kerberos to authenticate users, then we need a Kerberos Key Distribution Center (KDC). Typically most documentation revolves around installing the MIT Kerberos server, adding principals, and creating keytabs etc. 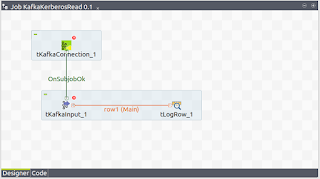 However, in this post we will show a simpler way of getting started by using a pre-configured maven project that uses Apache Kerby. Apache Kerby is a subproject of the Apache Directory project, and is a complete open-source KDC written entirely in Java. Keytabs are created in the "target" folder for "alice", "bob" and "hdfs" (where the latter has both the hdfs/localhost + HTTP/localhost principals included). Kerby is configured to use a random port to lauch the KDC each time, and it will create a "krb5.conf" file containing the random port number in the target directory. 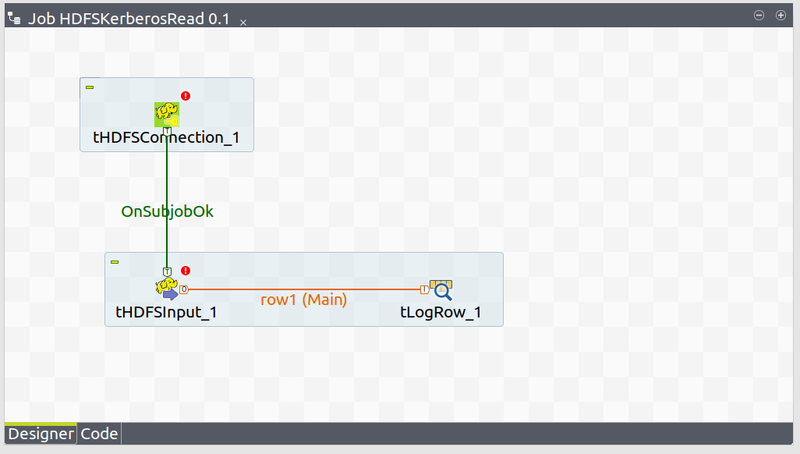 So all we need to do is to point Hadoop to the keytabs that were generated and the krb5.conf, and it should be able to communicate correctly with the Kerby-based KDC. Download and configure Apache Hadoop as per the first tutorial. For now, we will not enable the Ranger authorization plugin, but rather secure access to the "/data" directory using ACLs, as described in section (3) of the first tutorial, such that "alice" has permission to read the file stored in "/data" but "bob" does not. The next step is to configure Hadoop to authenticate users via Kerberos. dfs.namenode.keytab.file: Path to Kerby hdfs.keytab (see above). dfs.datanode.keytab.file: Path to Kerby hdfs.keytab (see above). export HADOOP_OPTS="-Djava.security.krb5.conf=<path to Kerby target/krb5.conf"
You also need to make sure that you can ssh to localhost as "root" without specifying a password.